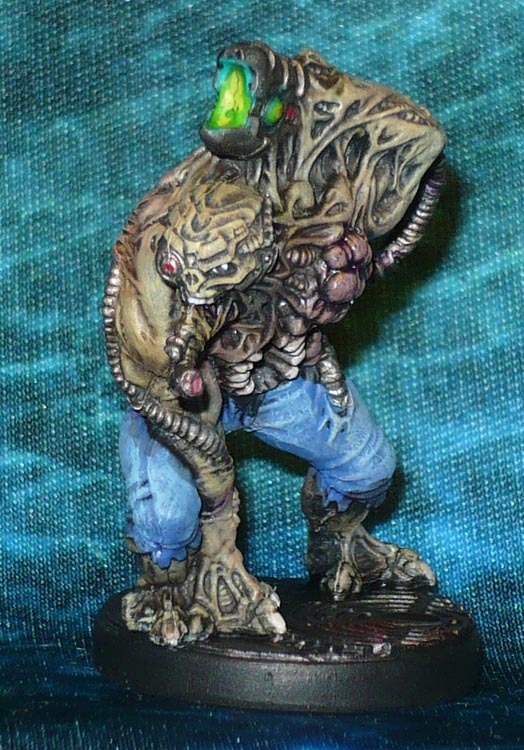 The Strain infects living hosts and by forced mutation rapidly transforms them to living weapons incorporating flesh and machine. Each “phase” being a stage og further mutations making the host/victim so much more formidable. 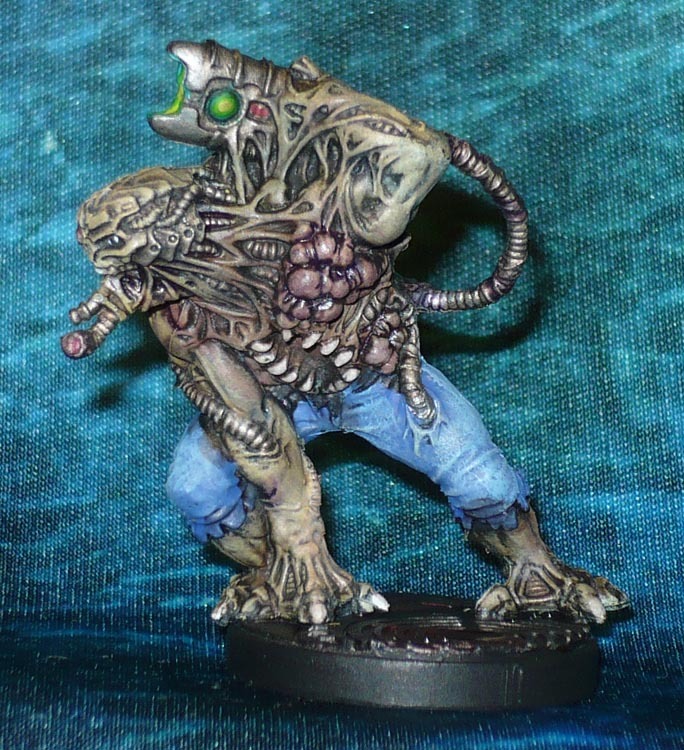 The second phase of mutations making it both larger and with the left arm turned into an effing plasma gun! Too small a base for my tastes though. Even though I have added a metal weight beneath it, the mini keeps tipping over at the slightest provocation. 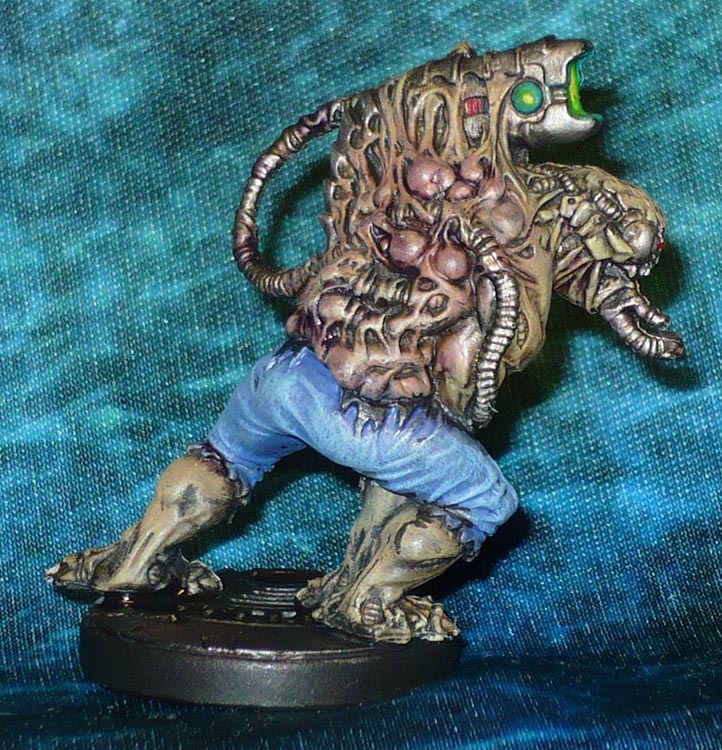 Damn those Sedition Wars restic minis are fine! PreviousYear’s End Shelf Clearing: Chronopia Swamp Goblins!